Sacred Heart is Denver's oldest still-used church. St. Mary's, the pioneer 1860 church, was demolished in 1900, and St. Elizabeth's--the second Denver parish--outgrew its original 1879 church, which was torn down in 1898 to build the current St. Elizabeth's. Episcopalians can claim the oldest surviving church building in Denver--the 1876 Emmanuel Chapel at 10th and Lawrence streets. This charming, stone landmark was converted to a synagogue by Congregation Sherith Israel in 1902 and, in the 1970s, was recycled again, becoming an art gallery for the Auraria Higher Education Center. Sacred Heart parishioners have allowed the city's senior functioning church to be designated officially as both a Denver Landmark and as a National Register of Historic Places Landmark. Sacred Heart parish's history may be begun with the arrival of the railroads in 1870. That year, the Denver Pacific and the Kansas Pacific tied the remote frontier crossroads of Denver into a growing national rail network. Denver had stagnated during the 1860s, starting the decade with a census population of 4,749 and ending it with an 1870 population of 4,759. After the railroads arrived, the self-proclaimed boom town did begin to boom, reaching an 1880 population of 35,629. Many of the immigrants pouring into Denver were Irish and Italian Catholics. These newcomers squeezed into pews at St. Mary's and St. Elizabeth's and strained to follow Bishop Machebeuf's French or Father Bender's German accent. They were overjoyed when Bishop Machebeuf authorized a new parish. The bishop bought five lots for $2,500 in 1879, in the Curtis Park neighborhood, nestled between the railroad tracks and new streetcar lines on Larimer and Champa, and then the fastest growing part of the city. Many of the Irish and Italian immigrants settled there to be near their jobs with the railroad and, in the case of many of the Italians, their vegetable farms along the South Platte River bottoms. Emmet Anthony, one of Denver's first architects, designed a brick church in the traditional cruciform shape, placing the solitary steeple over the Larimer Street entrance. Anthony used carpenter Gothic woodwork to dress up his brick shell. McPhee and McGinnity provided the woodwork, glass, and finishing, while many parishioners donated other materials as well as money, labor, and prayers. Even the altar was made of wood and bathed in light from the large, wood frame Gothic windows of colored glass. As his young diocese was too poor to support the new parish, Bishop Machebeuf placed it in the hands of the Jesuit order, who were eager to establish a toehold in the mushrooming Queen City of the Plains. John Baptiste Guida, SJ, a philosophy professor from Georgetown University, became the first pastor. On September 12, 1879, he celebrated the first Mass, a Mass of the Sacred Heart. Father Guida was soon saying three Masses each Sunday in the tiny frame rectory. On the crisp, sunny morning of April 25, 1880, parishioners celebrated completion of their church with Vicar General Raverdy singing the High Mass. It was a bittersweet celebration for the Irish, who had hoped that Sacred Heart would be given an Irish, not an Italian pastor. By fall, the church basement had been partitioned into classrooms for a free school taught by four lay women. Six Sisters of Charity of Cincinnati (sisters Pelagia, Charles Regina, Marcelline, Carlotta, Flavia, and Anne de Sales) began teaching in the fall of 1882--at salaries of $25 a month. The nuns taught the Baltimore Catechism, Gregorian chant, and ecclesiastical history, as well as calligraphy and secular subjects. Not until February 2, 1890, would Bishop Matz dedicate the large, two-story brick Sacred Heart School building at 2840 Lawrence Street. Some 250 students flocked to the new school, which in 1890 added a high school curriculum. Father Guida borrowed money from his Jesuit confreres in Europe to build the school and a convent next door at a cost of $52,000. Both church and school were jammed. Sacred Heart was then one of the fastest growing parishes in the booming city of Denver, which reached a population of 106,713 in 1890. To relieve overcrowding, lots were purchased for $8,000 at East 26th Avenue and Ogden Street, where the Loyola Oratory and Chapel were built in 1909 for $5,000. 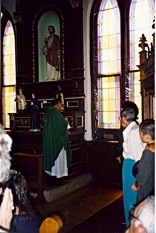 About 500 Catholics in the eastern portion of Sacred Heart parish used the Loyola Chapel. In 1912, Sacred Heart parishioners finally paid off their debts and began to think about a new church. 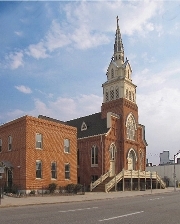 The eastern half of the overcrowded parish was designated as St. Ignatius Loyola parish, which constructed a large, impressive Gothic church in 1924. The Jesuit order operated both the old Sacred Heart parish and the newer one named for its founder. As many parishioners moved east away from the older area bordering the railroad tracks, Sacred Heart became a poorer, core city church. To help the neighborhood's needier souls, the parish launched, in 1892, the Sacred Heart Aid Society. This was one of the pioneer Catholic charities that gave clothing and cash (usually $5 a month) to indigents. In 1925, the society helped establish the Little Flower Social Center at 2809 Larimer, which offered food, clothing, shelter, and sociability to the down and out, who flocked to Larimer Street, once Denver's main street but its skid row by the time the Great Depression struck in 1929. The parish struggled through the trying times of the 1930s, closing the high school in 1939. Sacred Heart claims some saints, such as Julia Greeley, an ex-slave who was baptized at Sacred Heart in 1880. She displayed heroic charity by begging for others and giving all she had to the poor and needy. After her death in 1918, she continued to help those who prayed to her, even curing a cancer patient, an incident witnessed and reported by Doctor Martin Currigan. Sacred Heart’s best know parishioner. Elizabeth “Baby Doe” Tabor attended Sacred Heart Church. Her husband Horace, the fabled silver king, was baptized on his deathbed at the Windsor Hotel by Father Barry from Sacred Heart, where a solemn Requiem Mass was held for him on April 14, 1899. Sacred Heart has been served by many Jesuit pastors, but John E. Casey, SJ, holds a special distinction. Besides growing up in the parish, Father Casey was pastor for the longest period of time--a quarter of a century. John Casey, a wide-awake altar boy and Sacred Heart School graduate, returned to his old parish in 1948 as pastor. From his office, he could see the old terrace across 28th Street where he was born and raised by County Galway immigrants. His old neighborhood had changed dramatically over the years. Irish and Italian parishioners had been largely replaced by Mexican-Americans, and the once solid residential neighborhood now housed struggling small businesses, factories, warehouses, and public housing. Along with the rest of the neighborhood, the church had deteriorated. Structural engineers warned Father Casey that the rotting belfry, struggling to support the massive bell, might collapse at any time and come crashing down on Larimer Street. Casey, who had grown up to the rhythm of those bells, reluctantly took down the old tower and replaced it with a wooden steeple. Father Casey began making rounds in the neighborhood, calling on parishioners where they lived and worked. He was determined to revitalize the parish and was convinced that "you can't know your people by sitting in your office." His Mexican-American parishioners responded to the congenial Irish pastor. Whole families donated time, labor, and materials, helping Father Casey spruce up the church. Priest and parishioners replaced the old pump organ; they remodeled the church with secondhand confessionals, stations of the cross, and other furnishings Father Casey picked up when the old Sacred Heart Church in Boulder was razed. Some of the congregation and Father Casey spent their evenings lying on their backs atop a scaffolding to restore the venerable ceiling, and repainted the whole church. "I've spent more time with a paint brush in my hand during the past twenty years than I have with religious objects," Father Casey quipped. He was followed as pastor by Father Robert A. Hagan, SJ (1973-1980), Father Mark McKenzie, SJ (1980-1984), and Father Eugene Renard, SJ (1985-1988). Sadly, the parish closed its grade school in 1979. That loss was partially compensated when the parish acquired the vacant lot next to the church and transformed it from an eyesore into a park and outdoor shrine. The old fence along 28th Street, which Baby Doe Tabor had long ago donated to her church, was repaired and repainted. Sacred Heart Church, once considered ripe for demolition, began to sparkle with a new spirit. When the skylight over the main altar collapsed, knocking down and shattering a huge crucifix, Carlota Espinoza replaced it with her huge, colorful mural of the death and resurrection of Jesus Christ. Proud parishioners celebrated their centennial in 1979, when Sacred Heart became the first parish in the Denver archdiocese to spend a century in the same church. In 1980, the old convent next to the school at 2844 Lawrence Street was converted to the Sacred Heart House. 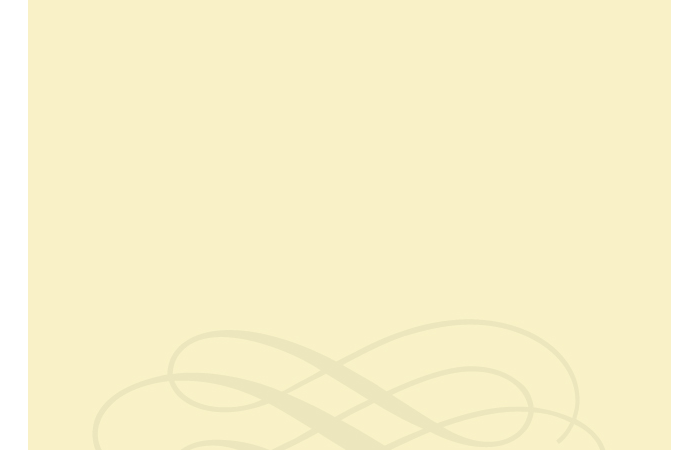 There, the Sisters of Charity of Leavenworth care for as many as eighteen women and children at a time, perpetuating the charitable endeavors begun in 1892 by the Sacred Heart Aid Society. Father Renard, the last Jesuit pastor before the parish was turned over to archdiocesan priests in 1988, continued to make Sacred Heart a spiritual center in tune with the renaissance of the neighborhood. "It is a constant struggle," Father Renard remarked in 1987, "but parishioners and others help, like Carlota Espinoza who lovingly put Christ back together again." Marcus M. Medrano, an archdiocesan priest, took charge on July 1, 1988, saying, "The oldness of the parish plant creates many challenges. My people and I, poor though we are, will continue the struggle to keep Sacred Heart a great parish." Alice’s mother and father, Mariquita and Francisco Crespin, celebrated their 60th wedding anniversary at Sacred Heart. They were also buried through this church and a plaque in their honor is displayed within the church. Sacred Heart is now brick color. It used to be painted yellow.